13 February 13 We site calendar and information updated ready for the new season. Newsletter sent out. welcome them and to see them depart. 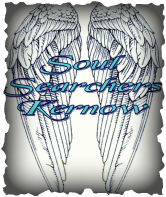 Paranormal Evenings are frequently held at the Museum hosted by Soul Searchers Kernow. These events consist of a full night of paranormal investigation with an experienced team, use of various paranormal equipment and includes free tea, coffee and biscuits throughout the night. 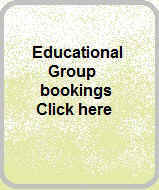 For enquiries and information on these events, or to book a place, please use the Contact Tab on the Soul Searchers Home Page. February 2012 Website theme changed for 2012. The footings for the extensions to the Guardroom and Sea Power have been dug and the concrete will be poured shortly. 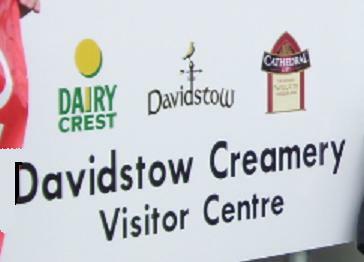 27th August 2011 The Dairy Crest Davidstow Creamery visitors Centre opens at the museum on Saturday 27th August 2011. 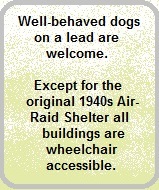 Also Cornish Aviation are donating a draw prize of '1 hours flight over Cornwall's wartime airfields' again this year. Last year it was a great success. It is held in support of the museum. The tickets will only be available to purchase at the museum on the 30 & 31st July, to give a fair chance of winning to those who visit War Machines. 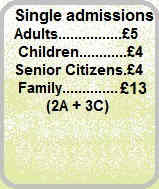 The Royal Enfield Owners Club will be attending on the Sunday afternoon. Following last years successful Armed Forces Day Parade at the Cornwall at War Museum,Camelford and Wadebridge branches of the Royal British Legion, the Davidstow Airfield andCornwall at War Museum and the RAF Davidstow Moor Memorial Museum collaborated to hold this years parade to honour past and present members of our Armed Forces. The parade marched behind the Bodmin Army Cadet Corps of Bugles and Drums and under the watchful eye of Parade Marshall John Beale, CBE, BEM, to the memorial at the entrance to the two museums. Wreaths were laid by Cornwall County Royal British Legion and British Legion branches from Camelford, Tintagel and Wadebridge, the Cornwall at War Museum, the RAF Davidstow Moor Memorial Museum and by the days VIP, Lt Col Tony Clark. The parade then marched to the Cornwall at War Museum Parade Ground for inspection by Lt Col Tony Clark Commandant of the Dartmoor Training Area which includes Okehampton Battle Camp. As well as veterans and serving members of the Armed Forces the day was attended by members of the Padstow Sea Scouts and Bude and Wadebridge Army Cadets and Newquay and Wadebridge Air Training Corps. We have put in a planning application to extend the Guardroom and build an extension onto the Seapower, about the same size as the existing Seapower, lower side, where the anchor is leaning against the wall. We have acquired a cockpit, complete, of a Vampire. It is mounted on wheels and is a significant bit of kit, about 14 ft long. 1-5 Sept 09 Spike Milligan's - "Adolf Hitler: My part in his downfall"
24 April 09 Armed Forces Day celebration announcement. 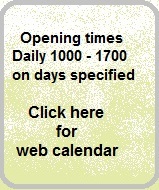 See special events. 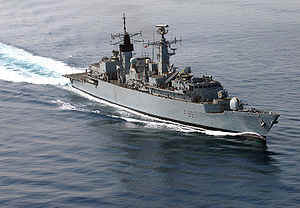 7 April 2009 We were visited today by Len Hare representing HM Ships Glorious, Ardent and Acasta Association (GLARAC). They came to present the museum with pictures and documents after seeing the small display at the museum last year. They spent most of the day with us.